Everest View Trekking is a swift journey into the Land of Himalayas, specially designed for any travelers who wish to step on the gateway and watch the magnificent world highest Everest on limited time they have. Also known as Namchee Bazaar Circuit Trek and Tyangboche Trekking, this trekking allows travelers to witness the beautiful landscapes, soaring mountain peaks and unique Sherpa culture of the people. 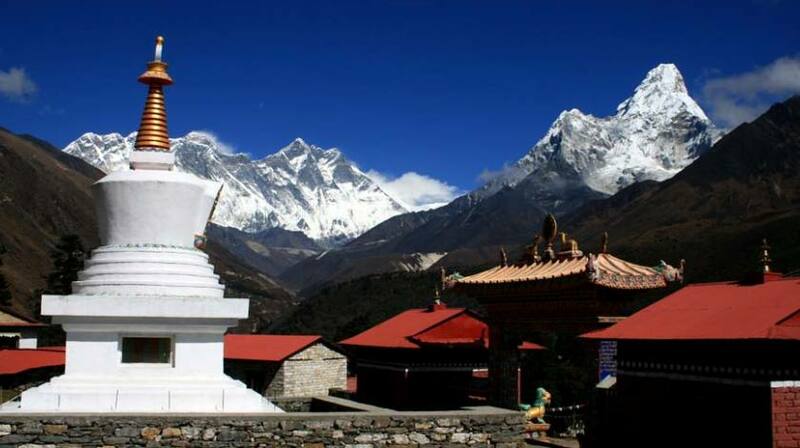 The major attraction of the trip is a visit to Tyangboche Monastery and breathtaking view of Mt. Ama Dablam and the upper edge of Mt. Everest along with several others. 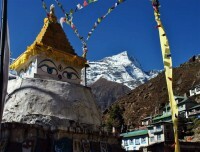 Everest View Trek is mostly focused to observe the view of Mt. Everest but it’s not for only that you will spend your week on the trails. 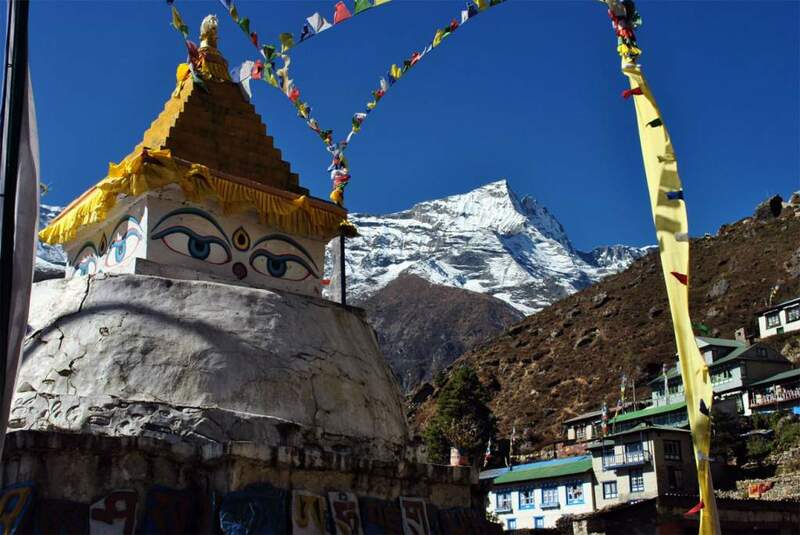 This trek allows you to walk past through the varied terrains and authentic villages of Sherpa people with a fine glimpse of the lifestyle and culture of the people. Trekking to Tyangboche starts with a flight from Kathmandu to Lukla and descend to the small village of Phakding on the first day, and continues to ascend listening to the sound of nature to reach Namche Bazaar — also known as Gateway to Everest — on the second day. We shall spend a day for acclimatizing ourselves by hiking to Everest View Hotel and beautiful Khumjung village. Our journey continues to descend and ascends with the wonderful sight of mountains, multiple suspension bridges amid the beautiful green and barren nature. The final destination of this trip is Tyangboche monastery at 3870m, where small tea houses will accommodate us. It is also one of the best points to catch the view of Everest range, Nuptse, Lhotse, Island Peak and Mt. Dablam. We shall also check-in to the monastery and observe the daily practice of monks who live and study there. Comprising all the best memory of the landscapes, culture and nature, we will return to the place from where we started — Lukla, to catch a flight back to Kathmandu.